Working with MD5 Council of Governors: Sharing Memories of Toronto and Strengthening the Pride! 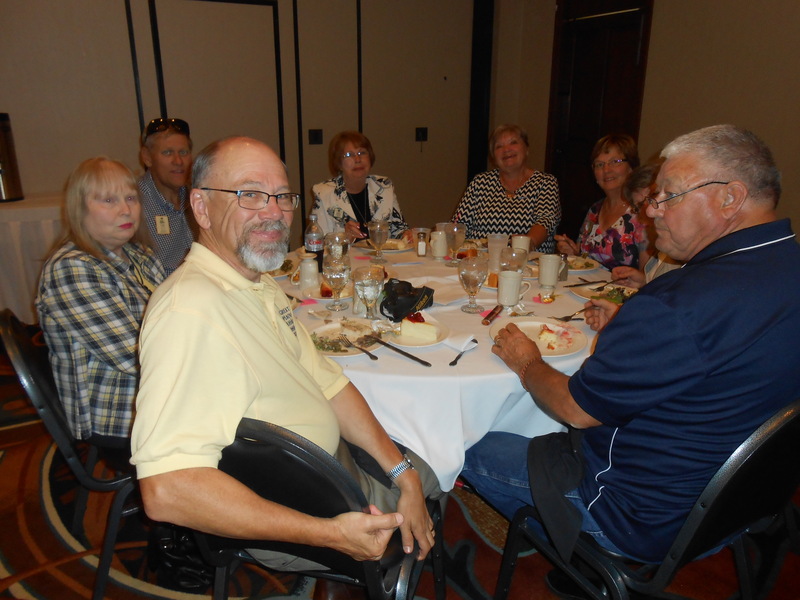 Last weekend, Kathy and I traveled to Minot to participate in the August Council of Governors meeting for Multiple District 5. New Council Chair Ken Wetz from 5SW did a fine job of facilitating the meeting and the new District Governors and their leadership teams began the task of meeting their membership and leadership goals. We had a chance to thank everyone for their support and friendship. 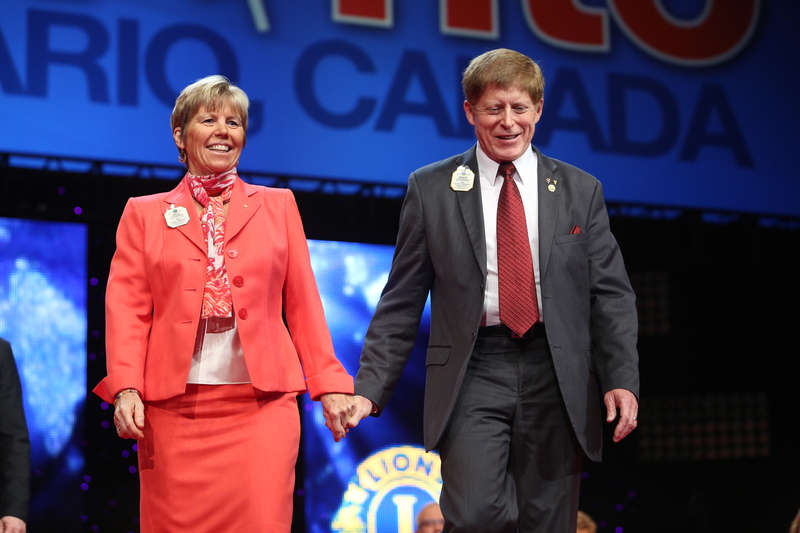 The Toronto convention was a top of the mountain experience that Kathy and I will never forget. Kathy and ID Robert leaving the stage after being announced as a newly elected ID couple. The happy co-chairs received vests and mugs for the super job they did at the convention! It is always great to get together with fellow Lions in MD5 to find out what is happening in the different districts and to discuss ways to deal manage the work that comes with being in a leadership position. One of the great moments was the announcement that the Watertown convention had made a double-digit profit. Convention co-chairs Tom Marquardt and Burt Andresh received special recognition from their honorary “queen” Maureen Meston Pockett. 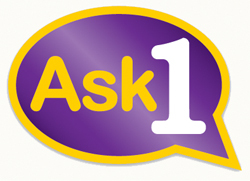 President Preston has offered some strategies for membership growth; but one I’d like to stress is the Ask One campaign. You might not think you can do it, or you might question whether it works; but it sure has been the right strategy for me over the past month. It started at our Board Orientation when I asked the photographer to join, she said yes, and President Preston inducted her on the spot. Today, when I spoke with the sales manager at a local hotel property that will be the site of our MD5 convention next May and asked her if she wanted to join, she gave me a positive response and plans to attend one of our upcoming meetings to seal the deal. And tomorrow, one of my students who is graduating and moving to St. Louis Park, Minnesota is coming to my office with his application and check to join the E-club in District 5NE. I told him that once he got settled and he finds a club that seems to be a good fit, he can transfer his membership. But in the meantime, the impact of a positive and welcoming approach was all it took to get three people to join. I encourage everyone to give it a try. If we each just ask one, we will see a dramatic shift in membership growth in the years ahead. While there were many important topics discussed, a few deserve special mention here. First, PID Garnet Davis provided details about the upcoming Centennial Celebration. He outlined the theme and suggested ways the Centennial could be integrated into future LCI public relations projects and club activities. This year–2014–we are promoting the focus of inspiration through our heritage. To celebrate 100 years of service, we need to remember our identity and what we stand for as Lions. We make a difference in this world and we need to make sure our members realize the implications of our international heritage. Every year until 2017, a different focus will capture our attention and help clubs to prepare. I am so excited about the Centennial and look forward to PDG Ken Gifford’s coordination of our MD5 celebration set for Deadwood! one project in each of these four areas in order to be recognized with a Centennial Service banner patch. This project focuses on our major service initiatives and helps build excitement for the Centennial of Lionism in 2017. As usual, in addition to the MD5 meetings, we had the opportunity to enjoy each other’s company. 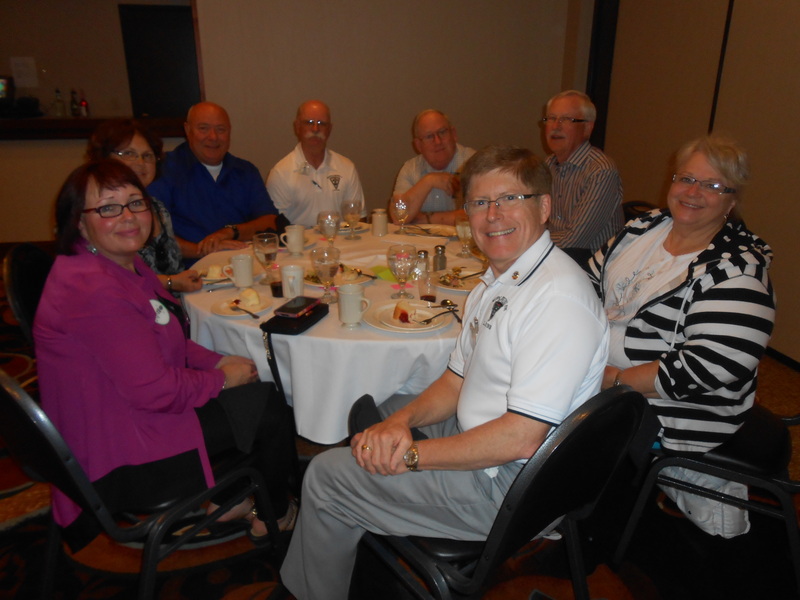 At the friendship dinner on Saturday night, we enjoyed the food and some down home South Dakota entertainment. A good time was had by all! When we returned home from Minot, we learned that I had been challenged as a First Year Director to take the Ice Bucket Challenge to raise funds to fight ALS (Lou Gehrig Disease). ID Karla Harris challenged me, so I accepted and made a donation to ALS with a matching donation to LCIF One Shot, One Life Measles Initiative. Thanks to PDG Pat Vannett for continuing the challenge. I haven’t heard from PDG Rob or PID Bruce, but I hope to see them or hear of them donating or feeling the ice water soon! I saw that PDG Pat challenged PDG Ken Grummett, PDG Steve Johnson, and CC Ken Wetz. Looks like the fun will continue for awhile! Finally, this week, Kathy and I started the school year at both of our schools and she shared with me one of the programs they had at Shanley. It was a TED talk focusing on the power of positive psychology. The talk was given by Shawn Achor and the point of the talk was the importance of not focusing on the negative but to frame life from a positive perspective. I encourage you to listen to the short talk (takes about 12 minutes) that can be found at http://www.ted.com/talks/shawn_achor_the_happy_secret_to_better_work#t-3634.